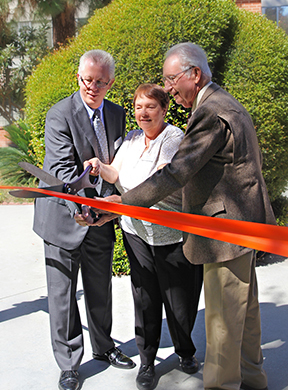 Decades of Devotion Celebration event included ribbon cutting, hosts radio personality Tim Conway Jr. and baseball icon Steve Garvey, tributes to nine long-serving staff, and much more. 2015 marks 50 years that thousands of Orange County seniors have called not-for-profit Rowntree Gardens Senior Living, an inviting, compassionate and caring home. October was also the month that Rowntree Gardens completed its biggest structural improvement/reinvestment since its founding. The organization marked these very special occasions with a major event – the “Decades of Devotion” celebration. The invitation-only celebration was hosted by popular radio personality Tim Conway Jr., who introduced honorees, and legendary baseball icon Steve Garvey. Both gentlemen met with and sign autographs for guests. 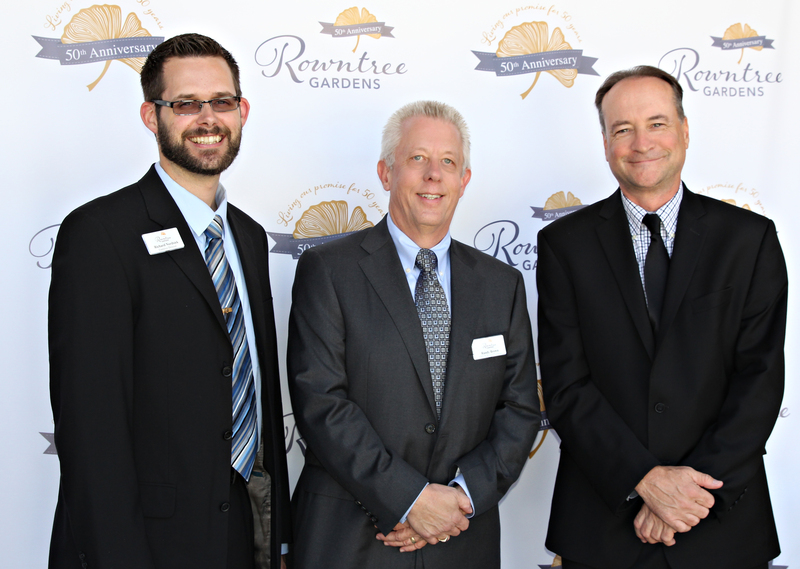 Designed to celebrate the past and embrace the future, the event honored several Rowntree Gardens’ staff who have dedicated most of their professional careers – all more than 20 years and a few more than 40 years – to serving the organization and its senior community members. The Decades of Devotion Celebration happened October 1 from 12-3 p.m., at Rowntree Gardens at 12151 Dale Street, in Stanton. 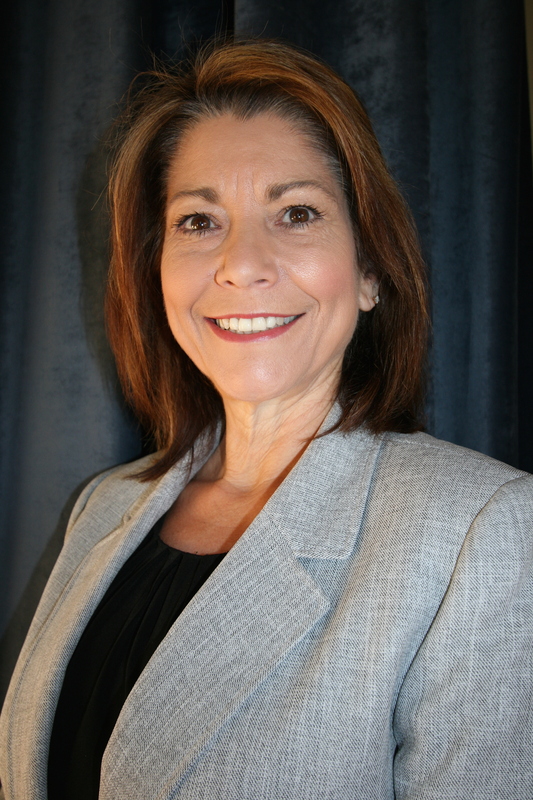 Elder Care Alliance in Alameda recently announced the promotion of Interim Chief Adriene Iverson to president and CEO in September. Iverson served as interim president and CEO since April 3. 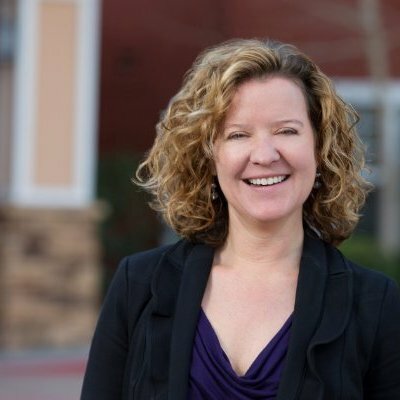 She brings over 20 years of leadership experience in the nonprofit field. SANTA BARBARA, Calif. – Janice Connelly has been named healthcare administrator at The Samarkand, a faith-based, non-profit continuing care retirement community operated by Covenant Retirement Communities. She will report to Executive Director Ruth Grande. Connelly will direct and coordinate the daily operations at the senior living community’s 63-bed skilled nursing center. She directs a staff of 103. Connelly has worked in the senior living industry for nearly 20 years. She came to The Samarkand after an award-winning tenure as executive director at Villa Maria Healthcare Center, Santa Maria, Calif. She also served as executive director at Arbor View Retirement Community, Santa Maria, and as administrator at Mission Gardens Skilled Care, Lompoc, Calif.
Ms. Connelly earned a Bachelor of Science degree in healthcare administration from California State University of Long Beach and attended Western State University of Law, Irvine, Calif.
For more information on The Samarkand, visit www.TheSamarkand.org. For information on Covenant Retirement Communities, visit www.covenantretirement.org. TURLOCK, Calif. – Covenant Village Care Center, the skilled nursing center at Covenant Village of Turlock, received five stars, the highest possible overall rating, in U.S. News & World Report’s seventh annual Best Nursing Homes. Out of almost 16,000 nursing centers covered nationwide, the ratings highlight the top providers in each city and state. The goal is to help users find a skilled nursing center with a strong track record of good care. In California, about 32 percent of all nursing homes received an overall five-star rating from the federal Centers for Medicare & Medicaid Services. Best Nursing Homes draws on CMS data in three categories – health inspections, level of nurse staffing, and quality of care – and gives each an overall rating. U.S. News awarded the “Best Nursing Home” designation to nursing centers that earned an overall rating of five stars from CMS in January 2015. In the new ratings, the share of nursing homes with an overall rating of five stars decreased to 21.7 percent, down from 24.9 percent last year. The decrease is the result of recent changes implemented by CMS to bolster the federal rating system. The report is available exclusively online at http://health.usnews.com/best-nursing-homes. 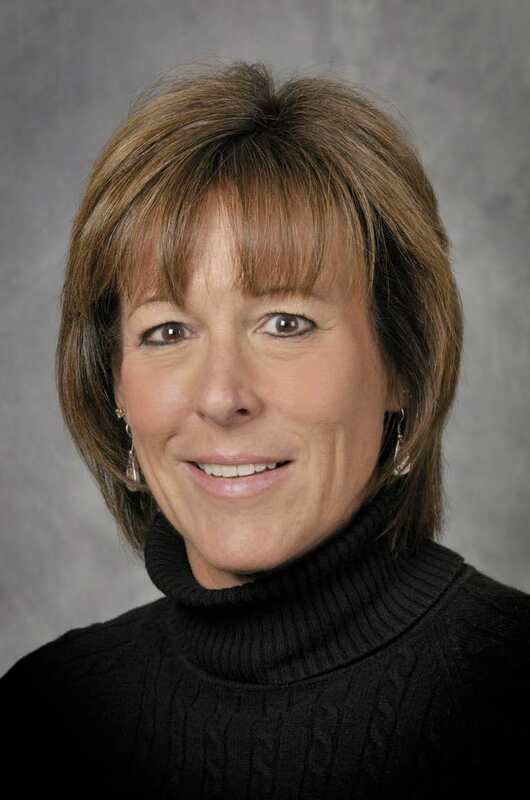 Terri Cunliffe Named CEO of Covenant Retirement Communities, Inc.
Covenant Retirement Communities (CRC) recently named Terri Cunliffe as its chief executive officer, effective June 1, 2015. Ms. Cunliffe, who has served as CRC’s COO since 2010 and has been part of the organization for more than 25 years, succeeds current CEO Rick Fisk. Beginning her career as a nursing home part-time receptionist, she has held a series of progressive leadership roles within CRC, including nursing home administrator and executive director at Covenant Village of Florida. 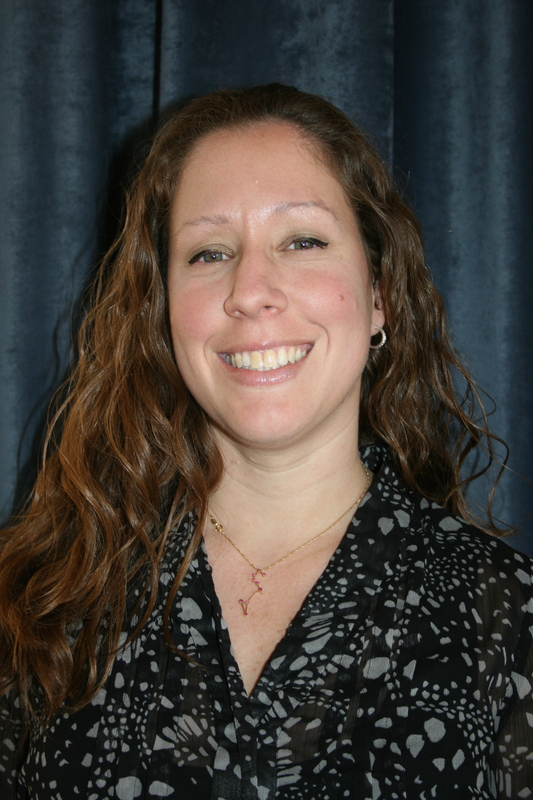 Ms. Cunliffe earned a Bachelor of Science degree in long-term care administration from the University of Minnesota, Minneapolis, Minn. and a master’s degree in health services administration from Nova Southeastern University, Fort Lauderdale, Fla. The Samarkand in Santa Barbara recently appointed Jessica Briceño as their new Dining Services Director. In her new role, Briceño will oversee all food and beverage operations at the community. She will also manage the Samarkand’s catering. Briceño has a long history in the hospitality industry, working in the field for more than a decade. She previously served as the food and beverage manager at Ojai Valley Inn and Spa, where she was recognized as Manager of the Year. She also worked for Four Seasons Hotels and Resorts at several locations, including Venezuela, Texas and Hawaii, and was general manager of Pangea Bistro in West Palm Beach, Fla.
She is a graduate of Nueva Esparta University in Caracas, Venezuela, where she received a Bachelor’s degree in business administration in the tourism industry. To learn more about The Samarkand, visit www.TheSamarkand.org. For information on Covenant Retirement Communities, visit www.covenantretirement.org.